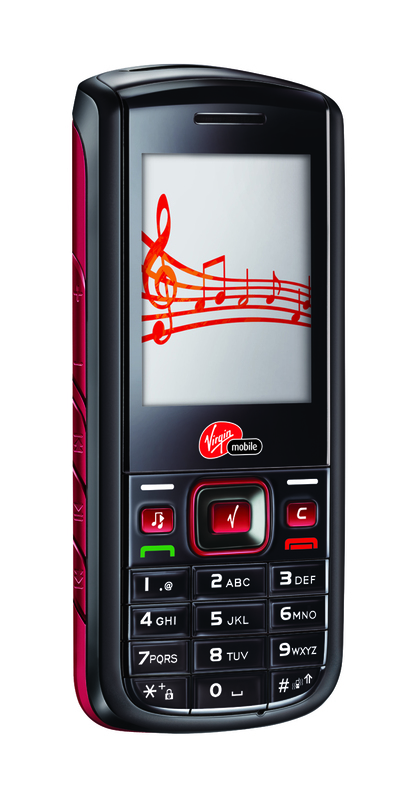 Virgin Mobile recently launched vJazz, a cool snazzy new music phone that will allow users to download free unlimited music – a first for India! 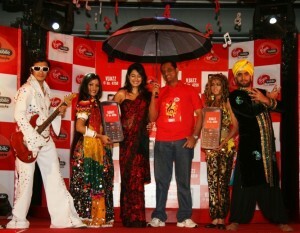 This revolutionary first time offer from Virgin is loaded with vMusic, that will allow users to choose from an exhaustive 1,00,000 Bollywood, Regional and International chartbusters and download full songs for free for one whole year. 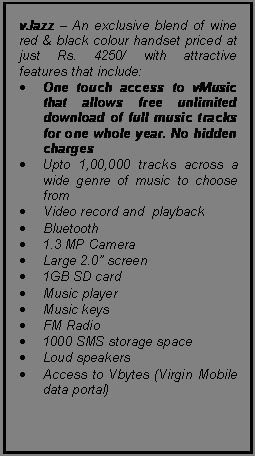 No hidden song, subscription or download charges! 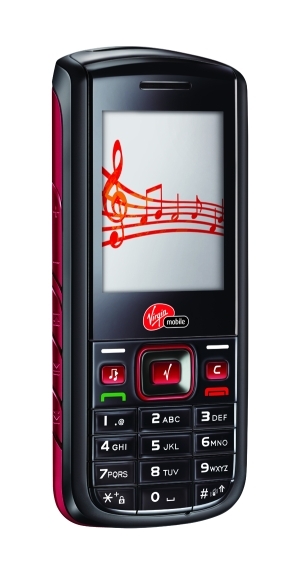 The handset, though not much of a looker, comes packed with a 1 GB SD Card, allowing the user ample memory space to save or listen to his/her favourite music, anytime, anywhere! This integrated music package is being made available at an affordable price of Rs 4,250/. Next Next post: Is the Microsoft Zune Phone Coming this June?